Research shows that companies considering global expansion tend to focus on transactional issues. They fret about payment risk and obsess over logistics. As a result they often shortchange fundamental strategy work, market research and other critical preparatory steps requisite for success in international sales. This includes attention to certain risks of which they might be unaware - but which are important to address nevertheless. FCPA (foreign corrupt practices act) and export compliance are great examples. But then there's a hybrid category which they assume they have locked up based on their domestic knowledge, but which might "bite them" later. USPTO (US Patent & Trademark Office) research found that only 15% of American SMBs selling globally realize that US trademarks don't cover them internationally. And as with any sophisticated legal topic there is plenty of nuance to understand and consider. It's a complicated topic, yet an important one that even small businesses need to consider. But there's a big problem! Sometimes nightmare scenarios are informative, but too implausible to be of much real concern. But here's one that not only plausible but likely. Imagine using your working capital, to create products based on your IP, on equipment that you carry on your balance sheet, in your own factory...only to have a foreign customs authority seize and destroy the products as counterfeits. Impossible you say? Not at all. Here's a common scenario. You receive some inquiries from an interested rep in a potentially interesting global market. You begin to dialog with the company and agree to authorize them to represent you as you enter that market and pursue the initial projects. Maybe you get an order, more likely not. But meanwhile you've shared information with the "rep." Some time passes, typically a couple years, and although there are periodic inquiries there are no substantive results. As your global program matures, and you develop proactive channel management procedures, you eventually inform your nonperforming rep that you are terminating your relationship. You replace them with a capable channel partner that quickly develops projects and as a sign of things to come, closes an exciting order with a marquis customer. Everything's good! But then the wheels fall off when customs seizes your products entering the country. Counterfeits cannot be cleared through customs and are slated for destruction. Counterfeit!!?? you exclaim? Yes indeed. It turns out that your spurned "rep", unconstrained by any comprehensive & locally enforceable agreement that clarified ownership of your marks and right to register them, squatted on your marks. And therefore, although your products are as genuine as they could be in every regard, they are nevertheless legitimately 'counterfeit' in that market. So as the clock ticks on your L/C you scramble to find a solution, incurring substantial legal costs without a satisfactory resolution. In the end, if you're lucky, you'll be able to quickly resolve the situation by paying the owner a "commission" on the sale they never made in order to have them release the mark and their claim of counterfeit product. 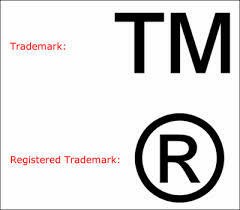 Time, expense, hassle, stress, strained relations with your new channel partner, banking/payment complications and poor customer service all are the undesirable outcomes of the naive, or ignorant decision to skip local trademark registrations. Is there a cost to register? Sure. But it's a basic, prudent step. Wondering what other rookie mistakes you might be making? Check out our free eBook.